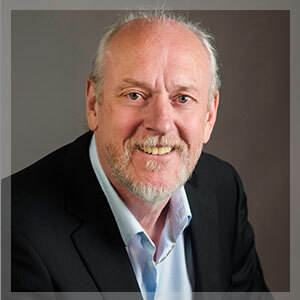 Goderich is the business hub for Huron County and while each smaller rural community offers a full slate of services here in Goderich you will find additional selection and opportunity. The Town is situated on the shore of Lake Huron and is bounded to the north by the Maitland River. The town was founded in 1827 and was named after 1st Viscount Goderich who was the British Prime Minister at the time. Downtown Goderich hosts the County seat of Government on what is called “The Square” which in fact is a large octagonal traffic circle. Key industry for the community is the Port of Goderich as well as the salt mining industry. Goderich hosts one of the oldest mines of its kind in Ontario and has produced 150 million tonnes of salt based on 2012 data. The mine itself is located some 300 metres below the surface of the harbor and would go unseen or heard in the town with the exception of the facilities located at the mouth of the harbour. A full array of schools are located within the town so your children are close by and the Alexandra Marine & General Hospital is a mainstay that has regional imaging options for the convenience of the local residents. The community population in 2011 is recorded as 7,521 which is only slightly above the recorded information from 1991. The average daytime high temperature for the months May through September is approximately 22° C (72° F). 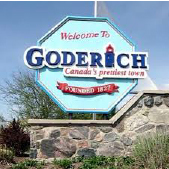 When you come to live in Goderich you will be pleased to find modern recreation facilities and numerous social groups and organizations to join. Outdoor recreation is within a short walk or drive including golf, fishing, hiking, biking, canoeing, boating and more. Goderich sets the bar for small towns and a low cost of living. You and your family will not be disappointed with the full quality of life you will enjoy here. 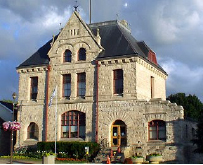 Spend your days in Goderich visiting the Huron Historic Gaol museum, taking in live theatre, strolling along the 1.5 km of sandy beach, hiking or camping in Point Farms Provincial Park or along the Maitland River Trail, visiting the Menesetung Bridge, or revel in the extensive heritage architecture. Whether you are a year round or part-time resident it will always be great to be home in Goderich. Home Purchase – A total of 120 homes were sold in 2015 with an average sale price of just over $250,000. The lowest sale price was $48,000 while the highest value home sold for $650,000. To give you a better idea of how home prices were distributed in price range here is how it looked for Active listings on January 1st, 2016 and the breakdown of homes Sold in 2015. ASK US FOR A FREE HOT LIST OF HOMES ON THE MARKET TODAY! If you would rather be a few minutes outside the urban area of Goderich then you will have lots of cottage and year round options along the coast and inland. When travelling north from Goderich you will encounter the rural communities of Port Albert, Amberley and Point Clark on your way through the 53 km of lakeshore leading to Kincardine. While homes are not as plentiful along the shore here as they are south of Goderich there is still a great selection. Homes sold in 2015 for an average of $292,322 in a range from as low as $93,500 to a home that sold for $662,500. Options include a tremendous new adult lifestyle land lease development. When you travel south to Bayfieldyou will find another 21 km of lakeshore. Homes in this section of Lake Huron shoreline sold in 2015 for an average of $241,354 with only one home selling for an excess of $500,000. As it is to the north of Goderich, theneighbourhood communities are all accessed from Provincial Highway 21 and will also be either on municipally or privately maintained roads. There are some residential and commercial building lots available but there are limited opportunities within the town boundaries. In 2015 a commercial building lot sold for $54,000 while list prices for residential lots ranged from $75,000 to just under $110,000. Outside of the town boundaries you can find lots in varying sizes with prices ranging from in the mid-fifties to hundreds of thousands of dollars for lakefront acreage. Prior to purchase it is always wise to confirm access to services as they can add substantially to your investment cost. Options for retirement living are plentiful in and around Goderich. 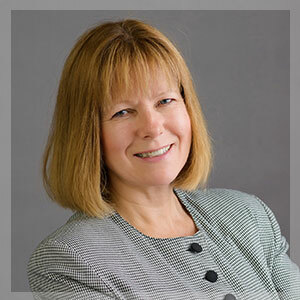 There are small single floor freehold homes, condominiums and new land lease developments. If you have a family member that may or does require assisted living there are several options available in Goderich.